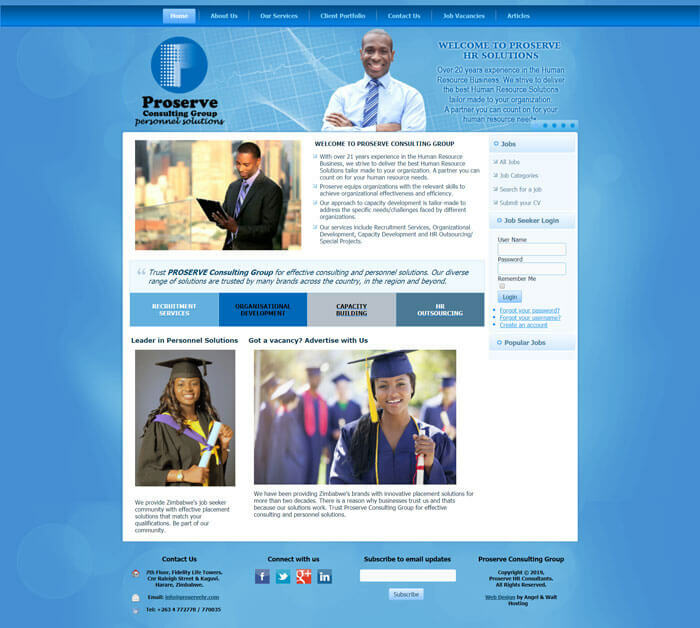 Proserve Consulting Group is a local Zimbabwean company that offers consulting and personnel solutions. They serve many corporate brands locally, in the SADC region and beyond. Proserve Consulting Group wanted their corporate website redesigned to better represent their authority and values as a brand. In addition, they wanted an automated recruitment website that helped them find candidates online and provide for the needs of their corporate clients.